Since 1994, the Sculptural Workshops of the Botín Foundation have brought together in Santander young artists from all over the world, to work alongside major figures from the art world. For its next edition, which will take place between September 17 and 28, 2018, the sculptor Cristina Iglesias (San Sebastián, 1958) proposes a research workshop based on her work process, from intimate reflection in the studio through to the implementation of the project in the public sphere. Cristina Iglesias (winner of Spain’s National Sculpture Prize in 1999) is one of the most internationally recognized Spanish artists. Famous for her sculptural works, with suspended pavilions, lattices, corridors and labyrinths, the artist combines industrial materials and elements of nature in her works to create unusual places and spaces of experience. For two weeks, 15 artists will live with Iglesias exchanging experiences and shared work while developing their own personal project, which can also be shared with the public in an open day. The participants in the workshop will propose a project on a topic involving drawings, texts, plans, models or video, and in a place chosen by them that they will develop during their stay. Participants will also visit the city of Santander and its surroundings to discover places or contexts that will help them to develop their project. In addition the artists will visit the foundry in Éibar where Iglesias works, and her installation on the island of Santa Clara de San Sebastián. The installation of the exhibition CRISTINA IGLESIAS: ENTRƎSPACIOS / INTERSPACES at the Botín Center 6 October 2018 – 24 February 2019 will allow them to discover in a practical way how the artist’s work occupies the space. As a final point of the workshop, the artists will present and defend their project before a panel of professionals who will study and evaluate the projects. The deadline for submitting applications to the workshop is August 10, 2018. For further information about the workshop and grants towards accommodation and maintenance click here. This entry was posted in Uncategorized, workshop and tagged artists, botín, botin foundation, call for applications, Cantabria, Cristina Iglesias, fine arts, Fundación Botín, Santander, Sculpture, Spanish Art, workshop on July 26, 2018 by costanzabeltrami. Exhibition of works by nine Spanish, Portuguese and Latin American contemporary artists who are the recipients of the 21st Fundación Botín Visual Arts Grants for 2013-2014. Carles Congost (Gerona, 1970), Albert Corbí (Valencia, 1976), Patricia Esquivias (Caracas, 1979), Jon Mikel Euba (Vizcaya, 1967), Rodrigo Oliveira (Portugal, 1978), Wilfredo Prieto (Cuba, 1978); Julia Spínola (Madrid, 1979), Justin Randolph Thompson (Peekskill, NY, 1979) and Jorge Yeregui (Santander, 1975). A downloadable leaflet –at http://www.fundacionbotin.org/89dguuytdfr276ed_uploads/2015_03_26_06_31_03.pdf –illustrates examples of the artists’ works including sculptures, photographs and artist’s books. This entry was posted in Spain, Spanish Art and tagged 2015, Contemporary art, Exhibitions, Fundación Botín, Santander, Spain, Spanish Art on May 2, 2015 by Clare Hills-Nova. 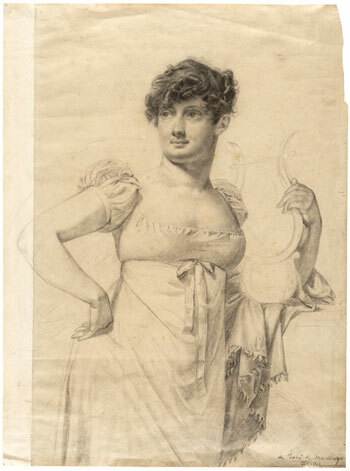 José de Madrazo y Agudo (1781-1859) Drawings, Fundación Botín, Santander, 12 June – 14 September. Exhibition of a previously unpublicized aspect of Madrazo’s work, including many drawings from the hundreds of previously unknown works recently discovered by the Prado in the hands of Madrazo’s descendants. The exhibition includes 61 drawings, four prints and four oils and a bust portrait of the artist by Ponciano Ponzano. Apart from the 58 works lent by the Prado there are also loans from the Museo Nacional de Romanticismo, Madrid; Lille’s Musée des Beaux Arts; the Kunstsammlungen, Dresden; and the Hispanic Society of New York. José de Madrazo was the patriarch of the artistic Madrazo clan and trained in the neoclassical style in Paris under David (1748-1825). The exhibition is curated by Carlos G Navarro, from the Department of 19th-century painting at the Prado, who will also be working on a future Madrazo catalogue raisonné. This is a further example in the series of monographic exhibitions organized since 2007 by the Fundación Botín to showcase the work of Spanish master draughtsmen. This entry was posted in Spain and tagged Drawings, Exhibitions, Fundación Botín, José de Madrazo y Agudo, Santander, Spain on June 22, 2014 by Clare Hills-Nova.